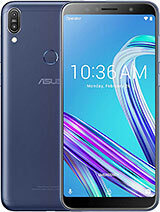 Iam really a lover of Asus brand I bought this selfie bcoz I love its features but suddenly I am sad bcoz I tot it is gorilla glass4 but how come my fone has scratch in 2days.my old fone is gorilla glass 3 zenfone 5 nd its amazing.hope you can explain this to me I thought it is much strong. sairam, 30 Jan 2016hiii frnds. 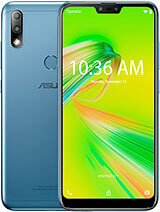 I Want to buy asus zenfone selfie so some plzz tell me about its Batery backup, c... morethe battery drains out fast, not by playing games but even using whatsapp. have problem charging.. same input head to charge with samsung but very slow, using original charger its charging but again it doesnt last long. 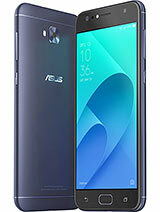 Hi, I just bought my ASUS Zenfone Selfie (ZD551KL) yesterday and I updated the system to the latest (V1.15.40.1023) through OTA this morning. I also updated all the pre-installed apps. As of this moment I'm very satisfied with my phone but there are only a couple of things I need some help with. First, how can I disable character preview (that's the letters popping up when you tap them) when typing using ZenUI keyboard? I'm not kinda fond of it (really). Second, how can I remove the weather widget on my lock screen? I only want to see the time and date on my lock screen and nothing else. I have other means of keeping the weather in check. And third, I noticed that my phone battery drains significantly during standby after system update. I turned off the WiFi and other stuff after updating (even rebooted my phone) then after setting it down for a while (like 5 - 10 mins) my battery went from 28% to 23%. I don't know why but I'm kinda paranoid when it comes to battery management. 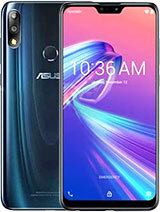 My phone is new, and I don't want to speculate anything because I trust the ASUS brand. I need your opinions on this guys. Thank you very much. Pedro, 04 Feb 2016The last SW update, made today 2016-02-04, LRX22G.WW_user_1.15.40.1023_20160121 044030520_2015... moreArange date and Clock manualy. Can you tell me the disadvantages of the new february update? Should i update or not? Cos i read some disadvantages comment about the latest selfie zenfone update. Really appreciate your reply. HBK, 08 Feb 2016i wanna know which is better for gaming this phone or sony z2 ? I bought this phone last November, in hoping to get the better gaming experience with 3 GB of RAM on board. I played Real Racing 3, the IPS screen display is really good. But if it's down to performance, this phone was lack in memory management and processor. I surely checked - there are still unused 1.7+ GB free of RAM, and when I play the RR3 the phone was feel so slow and heavy. When played online, the screen is lag - not by network (20Mbps/s). I've tried playing RR3 in Samsung V3, the performance is about 2.5 times better than this phone. 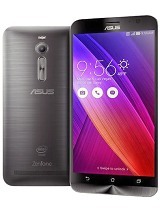 Fortunately, RR3 played on this Asus phone is rarely hang up or close unexpectedly. I'm still using it to play RR3 and just enjoy it. Outside gaming, beside its price the other good thing is front camera is better compare to pocket cam. 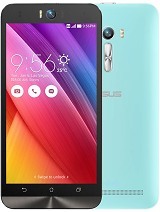 i wanna know which is better for gaming this phone or sony z2 ? AnonD-497649, 06 Feb 2016just bought this yeaterday, i love it. but when i try to use the double tap to sleep it works.... moreDo you have a screen protector or tempered glass installed? If yes, it should have a hole around the upper left side of the phone for the sensor for the gestures to work. I also had the same problem when my screen protector didn't have a hole. When I replaced it with a holed one, the double tap to wake function is running as should be. LYT, 05 Feb 2016I'm planning to buy this phone next month. Can someone suggest whether I'll pursue it or not?It's based on what you Need. 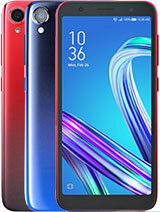 If you need a handset that can support your daily activity work like call, browsing, take camera, selfie, fast 4G smartphone, then, i suggest buy this phone. 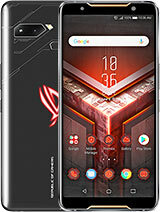 If you a gamer, or someone that almost like 12-24 hrs/ day need to use handset, dont buy this phone. Why? The batt's will drain like very fast, and it feels like really hot, the hotness you can't stand. But, if you just regular user i suggest buy this phone. this phone is satisfying enough, and it is a beautiful working phone compare to my last phone samsung grnd neo. 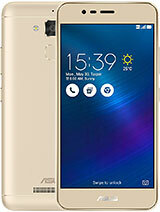 AnonD-497565, 05 Feb 2016i brought this from authorised retail shop of asus.... GOOD Things 1.good camera quality 2.... moredid you try th gestures like double tap to wake up or the shortcuts for app by simple writing a gesture letter on your phone? 2. Microphone clarity is not good..but speakers are good. 3. So many unwanted pre intalled applications consumes 35% of ram while phone is running..you cant uninstall those applications. 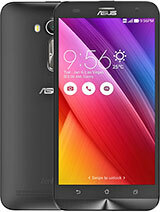 I'm planning to buy this phone next month. Can someone suggest whether I'll pursue it or not?